The Christmas came early this year! After a mega-successful culinary extravaganza on Thanksgiving, Lorenzo's (19 Wyckoff Ave, Bushwick) is bringing the community yet another chance to come together and to celebrate a major holiday in a good company with delicious food, warming drinks and an excellent music--all while giving back to those in need. This Sunday, December 20, from 8PM to midnight, Lorenzo's Holiday Bash is sponsored by Tullamore Dew. 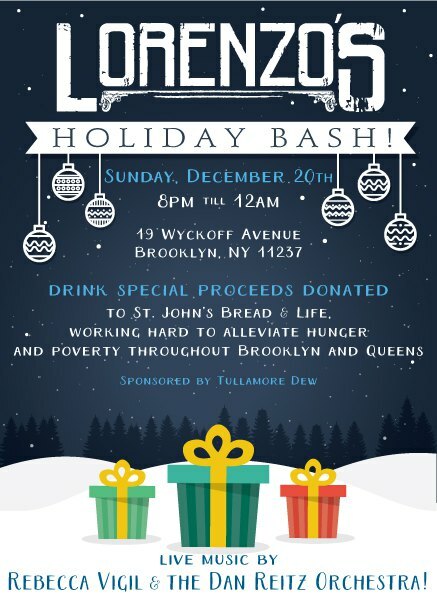 The proceeds from any purchase of any of the Lorenzo’s special Holiday Tullamore cocktails, will be donated to St. John’s Bread & Life, a local charitable organization working tirelessly to provide thousands of meals every single day to hungry New Yorkers out of their neighboring Brooklyn Lexington facility, and their unique Mobile Soup Kitchen. NYC staple Rebecca Vigil brings her Broadway voice and comedic genius to the party with ridiculously hilarious impromptu songs that will get you in the holiday spirit, while also leaving you in stitches! Live music by Rebecca Vigil and the Dan Reitz Orchestra starts at 10PM. 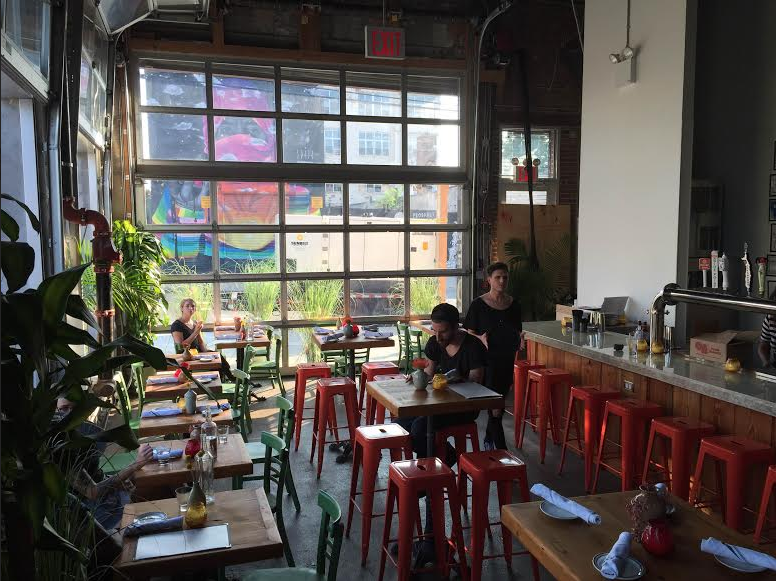 Naturally, full Lorenzo's menu will be waiting for with its generous dining options. Drinks, dancing, laughter, generosity, what more could a Holiday Party have to offer?! Lorenzo's Holiday Bash, 19 Wyckoff Ave, Sunday, December 20, 8PM-12AM, free admission.